Every good teacher or catechist makes the best use of different teaching methods and resources in different ways in order to ensure that the content and message arrives to and is grasped by the audience as clearly as possible. We use books and lesson plans, posters and images, PowerPoint presentations and video clips, artefacts and so much more. This use of different resources and media has proven to be very effective in all teaching environments and should lead to a bigger impact when used properly. 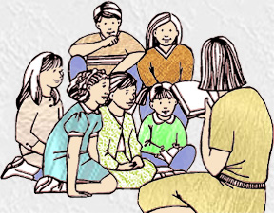 In our role of catechists or teachers of RE in schools however, we should always bear in mind that nothing is more important than the person of the catechist or the teacher in the whole teaching process. We don’t become catechist just to do a job - any job. We do it because we feel God is calling us to pass on his message of love to others in so many different situations, whether at school, preparing young people for the sacraments or other setups. In the words of the Directory for catechesis, ‘the catechist is essentially a mediator’. This is because we are not teaching children and young people to pass a test and achieve a good grade; we teach or rather catechise to help others build a meaningful relationship with Christ. It is crucial therefore that we ourselves make sure that our own personal relationship with him is a witness to those who we are in contact with in our classes, schools and other parish groups. No methodology, no matter how well tested, can dispense with the person of the catechist in every phase of the catechetical process. (From the "General Directory for Catechesis, paragraph 156). To ‘be’ catechists! Not to ‘work’ as catechists. Catechesis is a vocation; ‘being catechist’ - this is the vocation not ‘working’ as a catechist. 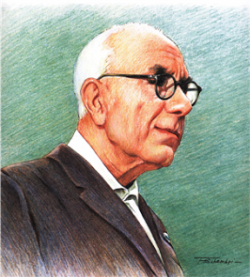 Born in Malta in 1886, Eugenio Borg grew up in a good practising Catholic family, but like the majority of people he knew very little about the faith. At the parish of Hamrun, Eugenio came to know George Preca, a close neighbour who at the time was studying for the priesthood. Once around 1905, Eugenio was with usual carefree friends smoking and sharing games in a field near the parish church when deacon George Preca approached them. He eventually started explaining the Gospel to them and his convincing words impressed them. Eugenio was particularly struck. Fr Preca was ordained a priest in December 1906. 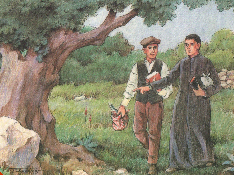 He asked Eugenio to buy a copy of the Bible and for several Sunday afternoons Fr Preca persuasively formed the heart and mind of Eugenio, transforming him into a seasoned lay apostle. God was nurturing in him the first seeds which had yet to grow and blossom. Later on, Eugenio rightly claimed that those meetings were the beginning of Preca’s Society of Christian Doctrine (SDC). In 1911 Fr Preca himself appointed Eugenio as the first Superior General of his catechetical Society. Eugenio became a man of prayer and zeal for the apostolate. He decisively embraced all the ideals that Fr George Preca presented to the SDC members, including celibacy. From then onwards, under the leadership of the founder Fr Preca, Eugenio's dynamism knew no bounds. The Society opened Centres in almost every parish in Malta, where religious and catechetical formation could be given to children and adults. By trade Eugenio was a skilled pattern maker in the HMS naval dockyard, and was a well respected worker even by his British Inspectors. He used to explain the faith to fellow workers during their breaks and in nearby pubs. He used to refuse overtime in order not to miss his catechism classes in the SDC Centres. He remained a zealous Catholic catechist and witness till the end. He died on 12 March 1967, five years after the sad loss of his closest mentor St George Preca in 1962. 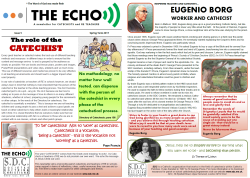 Through a holy life dedicated to evangelisation and catechises, Eugenio Borg modelled what the Second Vatican Council (1962-65) had just taught on the active role of the laity within the Church. "Strive to foster in your hearts a great desire to see God being glorified by as many people as possible - and you achieve this through teaching catechism. What a joy it would be that at your death Jesus were to reveal to you how many souls were saved because of your teaching and good example!" "Always remember that by means of good instruction people come to avoid sin and so love and glorify God. Remember the words of St Ignatius Loyola that he would be gratefully satisfied if his Jesuit society were to be the cause of avoiding just one single sin - that would be a great victory indeed! Never be lukewarm then."